Sacred Ecology examines bodies of knowledge held by indigenous and other rural peoples around the world, and asks how we can learn from this knowledge and ways of knowing. 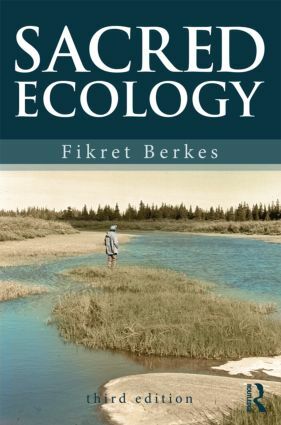 Berkes explores the importance of local and indigenous knowledge as a complement to scientific ecology, and its cultural and political significance for indigenous groups themselves. This third edition further develops the point that traditional knowledge as process, rather than as content, is what we should be examining. It has been updated with about 150 new references, and includes an extensive list of web resources through which instructors can access additional material and further illustrate many of the topics and themes in the book. Winner of the Ecological Society of America's 2014 Sustainability Science Award.